Unflattering Smock, the story of New Zealand’s rest home caregiver. Written by Rose Kirkup who spent eight years working in rest homes throughout the Hutt Valley and Wellington. 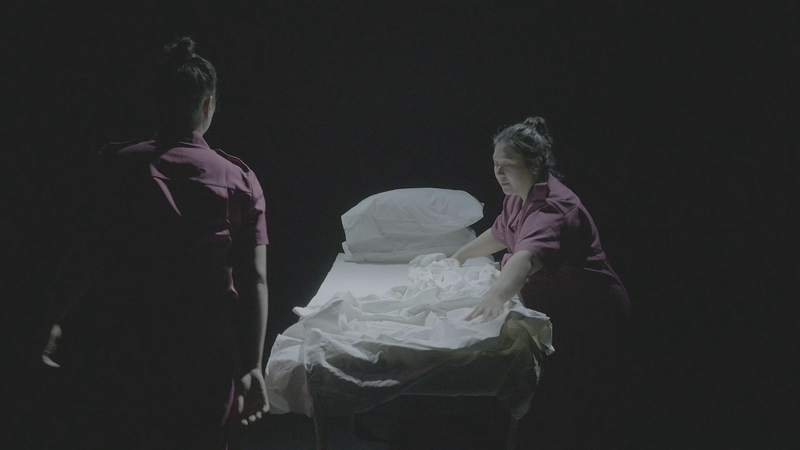 Unflattering Smock is her love letter to the women and men in Aotearoa who sacrifice aspects of their lives to care for our loved ones, in one of life’s most vulnerable times. Set at Sunnyvale Rest home and Hospital, we find six wahine from very different backgrounds working together like a well-oiled machine. Unflattering Smock, lets audiences step inside the life of the caregiver – the gossip, the grind, the drama. Life on the floor of Sunnyvale has its ups and downs, but the sisterhood always remains. We started building our team in 2016, bringing together a core group of creatives together over a weekend. Rose had penned the beginnings of her script, as well as character descriptions, Moana Ete, Sarita So and Vanessa Kumar began to inhabit them under the shared direction of Christopher Ulutupu and Rose. We took the resulting trailer to the NZ Performing Arts Market, where Rose pitched the show as part of the ‘Bright Ideas’ breakfast season to seek developmental support. An outcome of this was Heidi Holbrook from Wairarapa’s Kokomai Festival offering a writing residency. 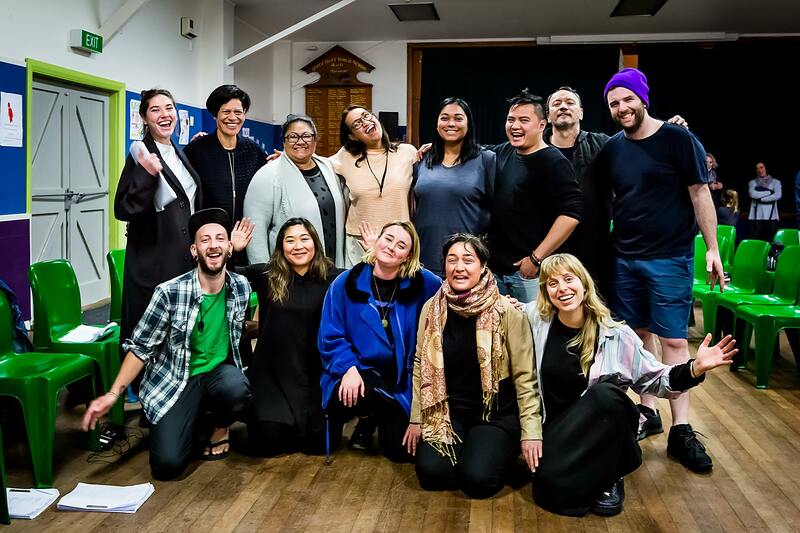 Next Playmarket NZ offered us a script development workshop where we were able to bring on actors Erina Daniels, Matt Loveranes as well as script advisor Victor Rodger onboard. Auckland Live offered us time in their Herald Theatre. At this time we brought Erina Daniels onboard as the director, Rowan Pierce joined as performance design, and together they entered the theatre, each with different design questions of the work. 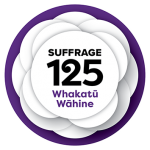 In September 2018, during the inaugural NZ Theatre Month and Suffrage 125 celebrations we presented the first public reading of Unflattering Smock. The shows were koha (pay what you like), and enabled audiences a behind the scenes look at our development process. We learnt that some of our audience had never heard stage directions before, and it gave them an insight into what the design of the world might begin to look like. Feedback on the show was encouraged giving us a chance to focus group the development of a work, while still giving our team creative control. Rose is currently continuing to develop on the script from her learnings of it being read aloud alongside our audience input. 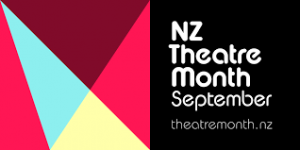 Creative NZ, Wellington City Council, Playmarket NZ, Heidi Holbrook, BATS Theatre & Auckland Live.